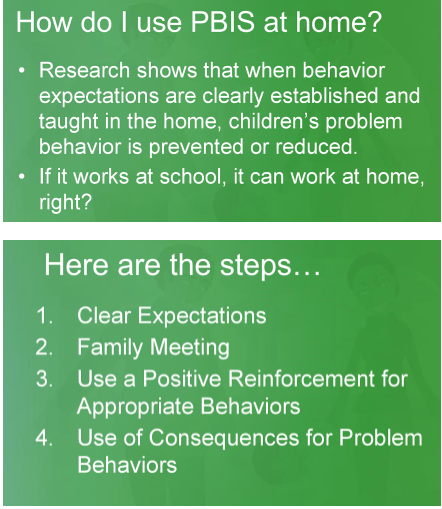 Positive behavioral interventions and supports (PBIS) is a way for schools to encourage good behavior. With PBIS, kids learn about behavior, just as they learn other subjects like math or science. The key to PBIS is prevention, not punishment. At Clark School, we emphasize our good behavior by our Code of Conduct, which is to... Be Respectful, Be Responsible and Be Safe!!! Students can use their STAR cards in the STAR Student Store twice a month. Check out the prizes on the STAR board to see what can be earned! Carolyn Clark Student Council represents the voice of our students. They help to plan and execute school-wide special activities and provide input on school decisions. Our Student Council consists of four student officers, which include president, vice president, treasurer, secretary/historian, spirit commissioners (2), and event coordinator. Also included one class representative per class from grades 4-6. Student Council officer positions are open to all students in grades 4-6. Elections are held every year in the spring and are voted on by students from grades 3-5. Meetings twice a month during school. The student council, which is overseen by a Carolyn Clark teacher, manages and/or assists in programs such as the spirit rallies, ALONE Day, and other school events. Each year Carolyn Clark hosts a Leadership Day for students in 4th-8th grades where interested children participate in a day-long, research-based, interactive leadership training. Led by a masters-trained educator with more than 10,000 hours in leadership training experience. Leadership Development Day provides opportunities for students to get inspired to change their school culture and learn the practical skills needed to make those changes. A registration fee includes all materials and a lunch for each participant. Information regarding registration is posted in May to June. Developmental assets are positive relationships, opportunities, values and skills that young people need to become caring and responsible. Carolyn Clark Elementary School is committed to helping our children in developing these assets. Through our partnership with Project Cornerstone, students have the opportunity to participate in a variety of class and school wide service projects. In addition to our commitment to students, we are making a commitment of the families of our community. We would like our community to become knowledgeable about developmental assets and ways to build them in our youth. Workshops and opportunities for parents to participate in the program will be made available. Honor Roll is a special accommodation awarded to students who reach certain academic goals throughout the year. You must be in grades 4-6 to be eligible for the program. Principal's Honor Roll is awarded to students who receive all A's on their report card and demonstrate satisfactory citizenship. Honor Roll is awarded to students who receive all A's and B's on their report card. Report cards are given out each trimester. Students have three opportunities over the course of the school year to reach Honor Roll. K-Kids which also supports Project Cornerstone where the students go through an Expect Respect Training Day. Students are recognized by the points they earn from reading books and passing comprehension quizzes of those books. The Carolyn Clark PBIS team believes that schools can only be successful when they help children to grow academically, socially and emotionally. In order for this to happen, it is important that we establish a safe environment. It is our goal to create an atmosphere for learning by setting clear expectations and directly teaching students about our expectations. Using the PBIS (Positive Behavior Interventions and Supports) program helps us to create a happy and safe environment for all our students. To learn more about our PBIS program, please see our PBIS Corner. Carolyn Clark students show what the Code of Conduct means at their school. Click the arrow to watch.